Prospect Park Books, 9781938849978, 256pp. After job losses and the housing crash, the author and her family leave L.A. to start over in a most unlikely place: a nine-foot-wide back-alley house in one of Ho Chi Minh City's poorest districts, where neighbors unabashedly stare into windows, generously share their barbecued rat, keep cockroaches for luck, and ultimately help her find joy without Western trappings. 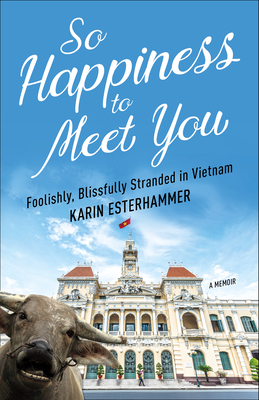 Karin Esterhammer is a travel writer whose work has been published in the Chicago Tribune, Los Angeles Times, Baltimore Sun, Christian Science Monitor, Orlando Sentinel, The Standard--China's Business Newspaper, and more. Her diary-style article in the Los Angeles Times about the move to Vietnam earned more letters to the editor than any travel story the paper had ever published. Karin has also had essays published in the Chocolate for a Woman's Soul series, and she once won the grand prize in a romance essay contest for Harlequin Books. After their years in Vietnam, Karin and her family are now living again in Los Angeles.